You are engaged in a war with a persistent and powerful enemy: Debt. Credit card debt, home mortgage, student loans or a combination of those can be a vicious enemy. You need a plan of attack, a strategy to tackle this nemesis. Here’s your playbook; which approach you take matters less than which approach you can stick with. You can’t rush into battle without appropriately assessing the situation. First and foremost, you need to know just how much debt you have and to whom you owe it. Add up all your debt from your mortgage, loans and credit cards. 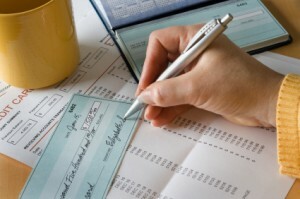 Determine how much money you can afford to dedicate to debt repayment each pay period. Stop using credit as much as possible, since doing so is counterintuitive and self-defeating. Now you can choose a plan of attack. For peace of mind, you may want to take the offensive against any collection efforts. You should always read any correspondence via mail from debt collectors, since they may offer to settle your debt for less than the full amount. Lawsuits are usually a last resort by collectors, and it will be more beneficial for you to settle before going to court, perhaps by paying a reduced amount or arranging a payment plan. The worst course to take is to ignore the court summons entirely, since the judgment will almost certainly go in favor of the collector. From a pure dollars-and-cents standpoint, you’ll save the most money on interest charges by paying off the debt with the highest interest rate. You will make progress on repaying debt much more quickly if you can penetrate the defense of the interest and actually hit the principle. Otherwise you’re fighting a losing battle, where the principle is always sending reinforcements in the form of interest. If you have difficulty keeping your motivation toward your goal, or if you just like to see your progress, you could approach repaying debt by paying the smallest balances first. Seeing the debt paid in full is encouraging and keeps you on track. If you make monthly payments to several different creditors, paying off small balances can help simplify the process and more easily keep track of payments. There are a few plans that will likely fail you. Paying off credit card debt won’t help you if you haven’t addressed the spending habits that enabled you to fall into debt in the first place. Your emergency fund shouldn’t be a source of funding for debt repayment. Spending from emergency savings leaves you vulnerable to further potential of financial trouble. Your 401k is another source you shouldn’t touch to pay off debt. You’ll pay hefty penalties for early withdrawal and you lose the progress you made towards a secure retirement. Each tactic has advantages and drawbacks, and a failed attempt may require retreat and regrouping. This is not a failure, only a temporary setback. The worst possible approach is to do nothing. Great advice in here, but I do disagree with one part: “Stop using credit as much as possible”. I continue putting as many purchases as possible on my best rewards card to maximize the benefit of having them, but paying it in full at the end of the month. I keep any balance I have to on my card with the lowest interest rate, and try to minimize using that card. Of course if someone’s spending is just out of control in the first place, then your advice is much better than mine. Being in debt and struggling to pay it off is the most horrible feeling. It plays on your sub conscious continually. In my case it makes me feel ill.since getting out of debt i. Simply refuse to buy anything on credit at all. I dontbuymuch but at least I can sleep better at night. A very important post, especially the last part about changing the spending habits that got you into debt in the first place. Debt is, unfortunately for many, a chronic disease. They can deal with flare ups through hard work and dedication, but it always comes back. Paying off high interest credit cards first is a great tip. You should get a good feeling about saving the maximum amount of money during the process, rather than paying off a lower balance card first. You make some good points here about debt pay off. I appreciate that you point out a lot of cold hard facts instead of trying to sugar coat it. Especially your warning about interest charges. That’s something people tend not to think about when it comes to paying back or paying off debts. Thanks for this very encouraging post. I must agree that assessing your financial capability in paying your debt is essential, from there you will know how much is needed you will be able weight what are to be paid first. I’m glad you mentioned that ultimately, if we do not intend to change our spending habits we cannot expect ourselves to be able to exit gracefully from this vicious cycle. Remember to spend only within your means and stick to your initial budget. Thanks for sharing! Great points, thanks for the post. It is not a nice feeling when you are trying to get out of debt. It is such a horrible feeling being in debt, and trying to get out of it such a struggle, you find it hard to sleep as it is always on your mind. I think it is a great idea to trace back to what got you in the debt in the first place, so that you can cut down on these costs and decrease the amount of debt you are in. This is well said that those people are successful in their lives that are clever and use certain tactics to overcome their problems. The problem of massive debts is the common issue these days and only those people who use the debt relief tactics can get rid of their massive debts. Of course, we need to learn these tactics to overcome debt problem, as it is very big issue today, lots of people, companies, organizations have to face this challenge. Dealing with debt is not easy and people may not know the right solution to it. When you’re experiencing it, people know that it is hard but there are a lot of right solutions for that. You may just need someone who can guide you with all your step by step solution. On this kind of problem, you really need to have a professional advice to make it happen and overcome all those issues. This is a great post! It gives me an idea on managing my financial statement. I absolutely agree on your ways and means regarding on debt paying taxes. Thanks a lot.